This is some amazing photography by Carl Warner over at Landscapes of the meal. 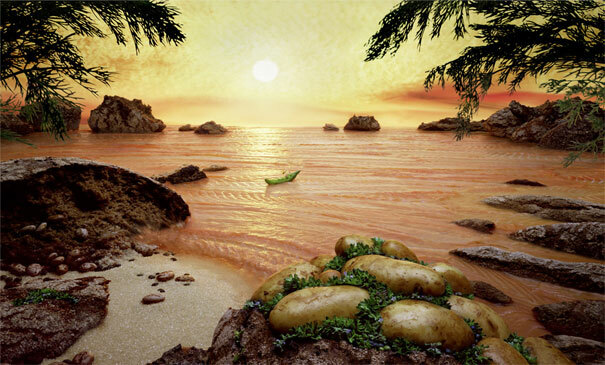 Look closely at the picture below…the water is made from salmon and the rocks are bread! Go check it out. This entry was posted in external and tagged Landscapes, picture, salmon, water. Bookmark the permalink. Post a comment or leave a trackback: Trackback URL.